« When I can’t fall asleep…? 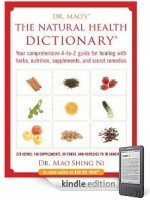 Bestselling Secrets of Longevity—which sold over 200,000 copies in 15 translations—is full of surprising, all-natural ideas for living a longer, healthier life, happier. 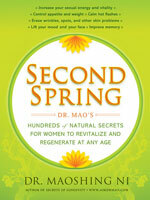 As a 38th-generation doctor specializing in longevity, Dr. Mao (as he’s known to his patients) knows the answers—and they’re surprisingly simple and powerful. It’s amazing how a little honey in your tea can aid internal healing. 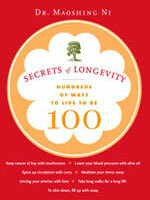 Or how taking a walk after dinner each night can reduce the risk of stroke and heart disease. 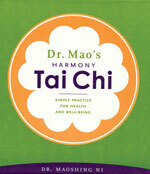 Dr. Maoshing Ni, doctor to Hollywood stars and a Tai Chi master specializing in longevity, brings together simple and unusual ways to live longer in this beautifully designed, chunky paperback, putting at the fingertips a host of proven ways to make anyone’s stay on earth much, much happier. Secrets of Longevity is also now available on Kindle, so you can bring the life-lengthening secrets with you wherever you go! This entry was posted in Featured Content.